TiVo offers a complete solution for is the best approach for buying OTA DVR depending on the requirement and budget of the client. There are four tuners in it and streaming services such as Netflix, Hulu+, Vudu, and Pandora. It also comes with built-in WiFi. 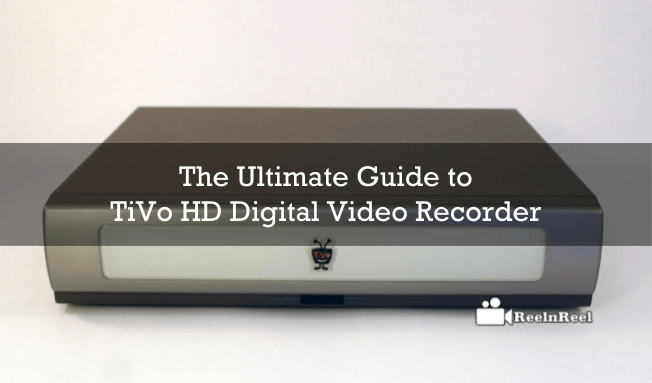 What is TiVo HD Digital Video Recorder? TiVo HD digital video recorder is the replacement for the cable box and other rented cable equipment. This device records all the television programs that the user might be interested in watching in its internal hard drive. Different TiVo products can be purchased for different purposes and these include TiVo Bolt, TiVo Roamio OTA DVR, TiVo Roamio Pro, TiVo mini and TiVo Outlet. TiVo Bolt family has two product and these are Bolt+ and Bolt. Bolt+ comes with 450 HD recording hours and can record six shows at once. Bolt comes with up to 150 HD recording hours ability and can record 4 shows at once. The only cable is needed for Bolt+ and cable or antenna is needed for Bolt. This box is at least thirty-three percent smaller than Roamio Pro and is at least three times faster. TiVo brings unified entertainment system in a single box. There is no need to have switching devices, remotes or inputs. Users can use the television, on-demand libraries or any streaming apps with TiVo. TiVo unified search allows searching movies and shows on multiple platforms like television or streaming apps. This is the solution for those who want to get the cable experience on antenna TV. Roamio OTA works with HD antenna. It comes with the recording capacity of 150 HD hours. It features SkipMode and QuickMode, and it can integrate streaming content from YouTube, Netflix, Amazon Prime, Pandora and so on. There is no need to pay any monthly service fee, but the user needs to pay only once. Roamio Pro Digital video recorder of TiVo supports streaming and programs can be downloaded from Android and iOS devices. The user needs to take the paid subscription to enjoy the services. It does not support HBO GO and Watch ESPN. It comes with the 450 hour HD recording capacity. When using TiVo HD digital video recorder in the home, you can attach TiVo mini to additional televisions in the home. There is no need to pay any extra monthly charges. According to the website, the number of Minis you have in the home the more you can save. TiVo multi-room gives the chance to enjoy the programs from more than one location. Multi-room streaming allows to stream video over home network from any compatible TiVo device such as Bolt, Roamio or Premiere DVR. A variety of accessories is available for TiVo HD digital video recorder. These include seeing in the dark keyboard remote, antennas, cables, streaming software and storage devices. Power adapters, HD cables and much more are available on the accessories store on the official website of TiVo. TiVo launched the audience management platform in the beginning of 2017. Designed to give interactive user experience, the audience based gross rating points can be improved and the CPMs and reach are also improved. The TiVo audience management system provides all the tools to the media executives to manage to advertise in this rapidly changing environment. It is more than twenty years since TiVo entered the DVR business. However, the cost is where TiVo is losing the audience. TiVo Bolt is the smaller and faster of all the products of TiVo and is also the most expensive. Roamio OTA is less expensive and is better than the cable television box. It also comes with ad skipping and streaming feature. Choose the product that suits the budget.